She loves the sound of Waltzes and would dance to the music the rest of her life. As long as it pleases him. As luck would have it, fate sent André Rieu his big love, Marjorie. "We were meant for each other" he says lovingly. But where is the woman behind the Waltz King, whom is seldom seen? The New Post was granted an interview with this lady who teaches German and Italian. She speaks about the highs and lows of their 40 year marriage, her jealousies (or lack of) and her passions. Marjorie knew from early on that André would be the man of her life. "I was 15 and he was 13. Even back then there was already something special. Love grew more and more over the years - even until now". Even now when the couple has not been afforded many freedoms. When André goes on tour, Marjorie stays behind at home, so that she herself can concentrate more on the music. Is that for you a form of relaxation? No, if I am required to always travel the world with the orchestra, that costs me too much time. I believe that when my husband André is on tour, he is happy. Currently he and his entourage are touring Germany, and in May they will tour Austria and Switzerland. Although the star violinist appears on stage with beautiful female singers and is admired by millions of women, Marjorie leaves him be. Indicating a deep and great trust. Marjorie is of one thing very sure: "I know he loves me. The admiration for stars has nothing to do with love. I for instance admire Uwe Kockisch and Guenther Jauch, but only in their role of actor and presenter." From home she organizes the tours, which leaves her husband free during his tours. "That we can work together so closely in harmony," we find that to be a great gift. Today the star violinist is again on top. But that was not always so. In the beginning of André's career it was Marjorie who earned the couple's livelihood. And when the virtuoso became famous, stress and pressure began to eat away at him. Three years ago when he had a breakdown in his health and had to cancel his tours, it was again Marjorie who stood by him. She admits: "Of course I was worried. Not only for him, but also for the company." Strength gave her an unshakable optimism. 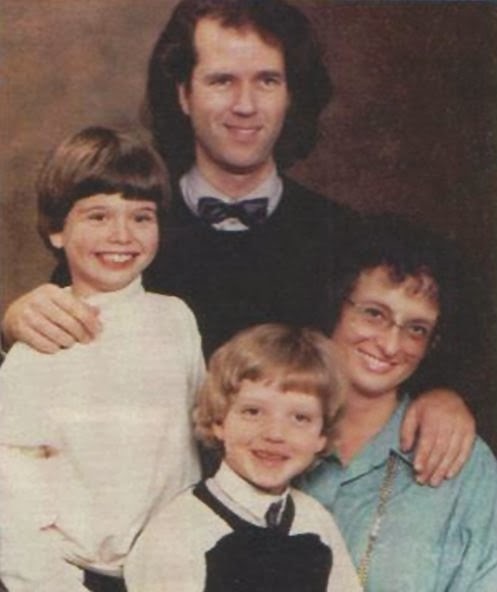 "I never lost hope that he would be well again." While many couples succumb to such a huge setback, it welded André and Marjorie even closer together. She says: "We love each other and we share our passion for music. What more can I want?" And money - does that play an important roll in your life? "When you have none in order to provide for your children, that is terrible. But more money does not make us happier. We find happiness in other things. In love for instance". Thank You to Ineke and Kati for sending this and John for Translating it. I always knew she was a very special lady. These are the things I have read and heard from Andre several times, but it's nice to hear it from Marjorie herself. 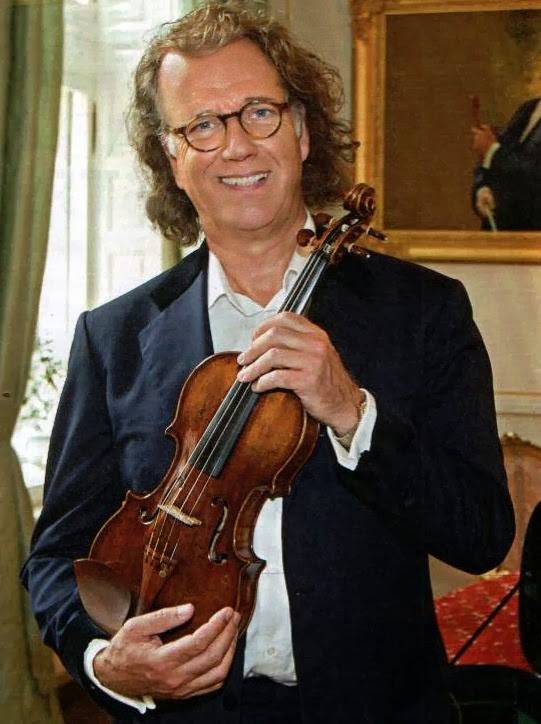 If you've read the book on Andre, I would say we're all lucky that Andre married Marjorie, whom was working hard to make money so Andre could follow his dreams, or there wouldn't be THE Andre Rieu we so love today! They are such an inspiration to so many, that there is so much trust and love after 40 years. I admire them both. There are so few couples in a position like this that still retain this kind of love. No wonder Andre has so many admirers. Thank you for the translation. Mme. Rieu is without a doubt an amazing woman. I'm married for 40 years, and sometimes it's not easy....it must exist a big love! grow and grow. Love and trust is the answer to success. Phedra said: I would so LOVE to see Andre Reiu on stage. Unfortunately, elderly people who live on Social Security do not have that opportunity. He was here in Sacramento last year and I wanted to go so badly. However, the concert prices are far more than many of us can afford. So, I settle for watching the videos on YouTube. I love each and every video, they are so "alive". What a truely amazing fairytale romance they share together! It is what we mostly dream about! What an inspiration you both are.